Morning ladies for this month's House of Fraser collaboration I thought it would be fun to showcase some of the new into store dresses that have caught my eye & share how I'd style them both for holiday & at home. I don't know about you but with all this glorious weather we've been enjoying dresses are just the easier thing to reach for. 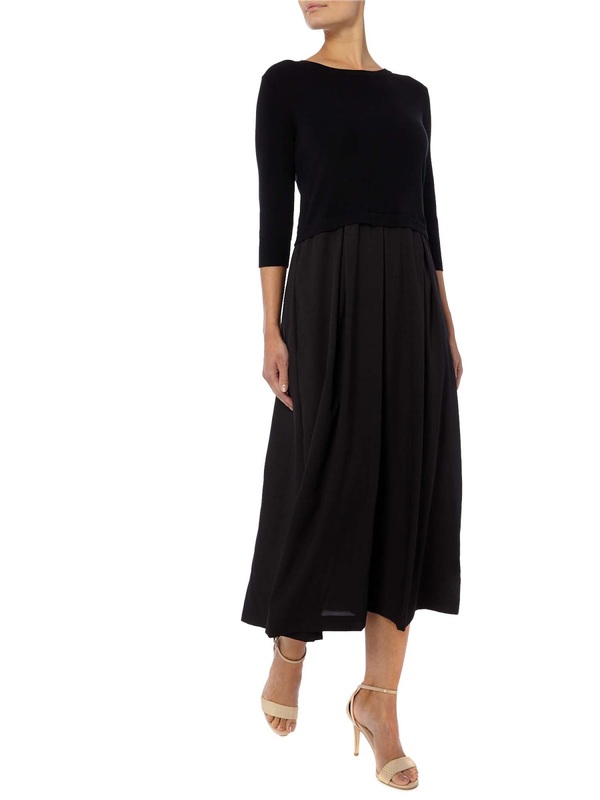 Cool, stylish & they make dressing so quick & easy - no worrying about what top goes with which pair of trousers/skirt etc. Plus they're my go to for holidays as they really do make packing so easy & quick & whilst we might all like a statement dress for floating around on holiday it's great to be able to get our wear out of them once back home. Talking of statement dresses the above stunner probably doesn't need much explanation as to why it's made it onto today's post. A flattering style, gorgeous colours & animal print - what's not to love?! 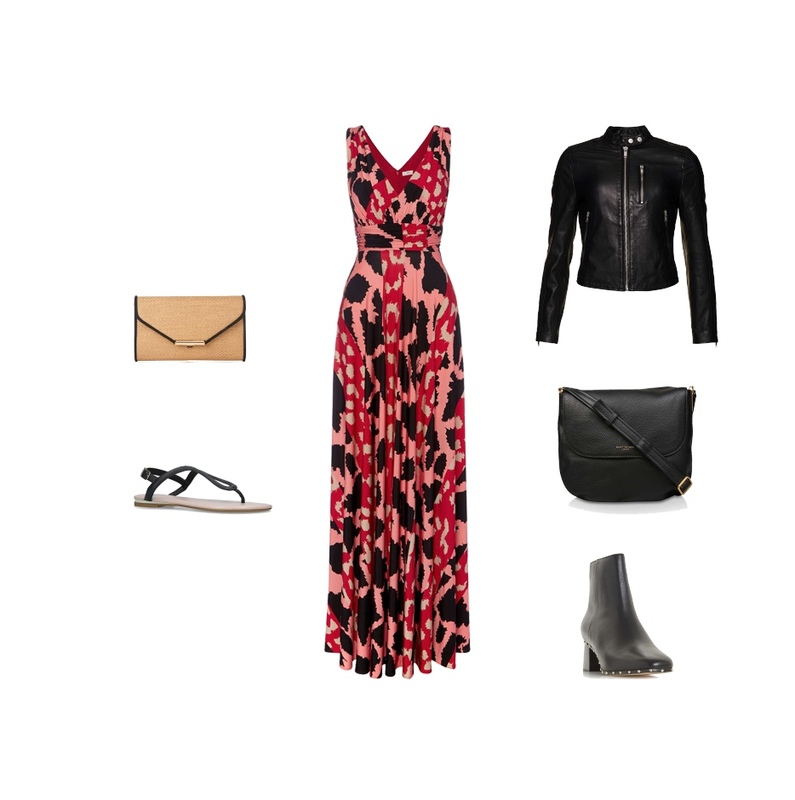 As you can see below I'd keep the styling of this quite simple for holidays - a neutral clutch paired with some simple flat sandals would be all you need & whilst it might be a sleeveless dress there's no reason why you couldn't get your wear out of it come Autumn. One way would be as I've shown below, alternatively trainers & a cashmere crew neck jumper thrown over the top. Or even paired with courts & a black tailored blazer for a night out. This next dress is perfect for throwing over a bikini if heading to the local market when on holiday or even for travelling in. Layer with a few delicate gold chains & some bangles & you've got a great day time look. 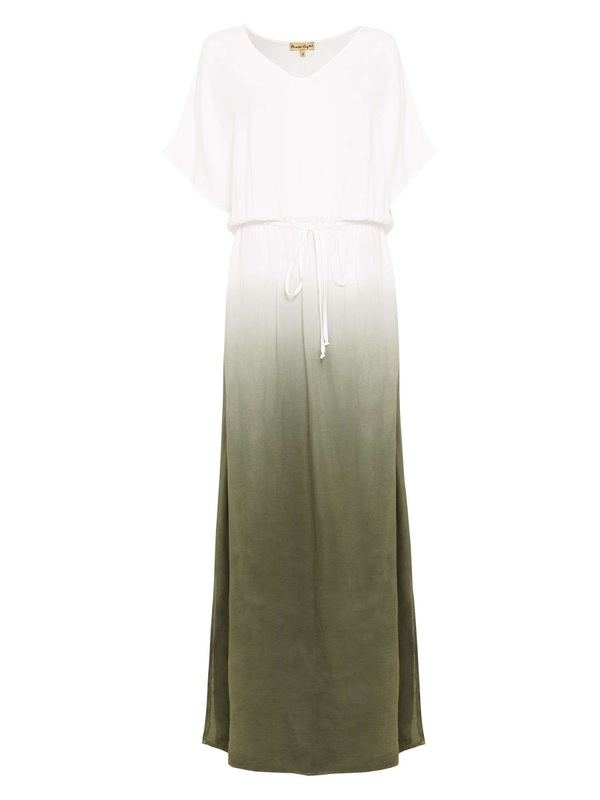 Similarly once back home it's the perfect dress for teaming with a denim jacket & trainers. I just love the style of shade of blue of this next dress, which would equally be perfect for teaming with heels & a statement fascinator should you have a wedding or special celebration this summer. Then throw on with some gold wedges & a clutch for a holiday evening look. Then once back home a leather jacket & trainers with a pop of colour from your cross body bag & you've got the perfect look for daytime. More animal print with this midi dress. Again with neutral accessories this would be perfect for a special event. For holidays I would keep things really simple with pale pink accessories & once home a denim jacket & trainers would help dress the dress down & make it more casual. 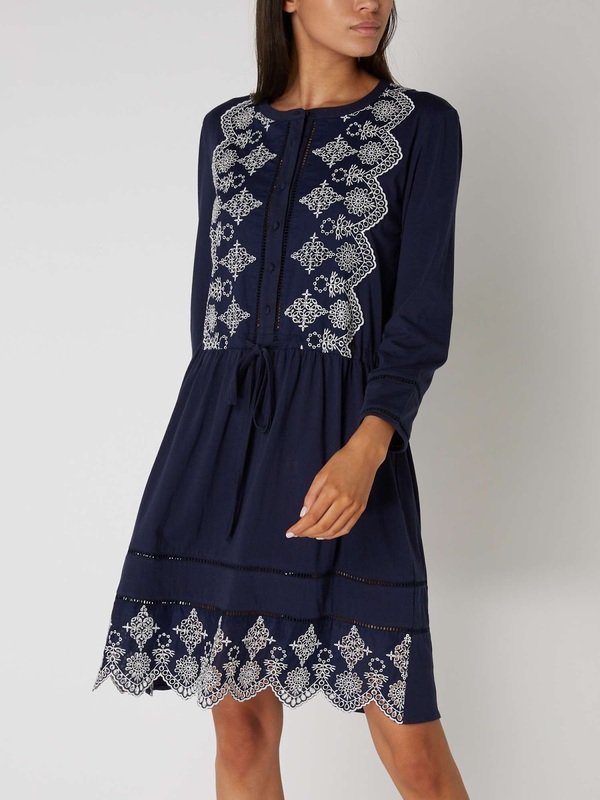 Now we all love a simple cotton dress that features a spot of embroidery come the hotter weather & this next dress that would look great teamed with straw accessories for summer holidays. Then a denim jacket & trainers once back home & come Autumn opaque tights, ankle boots & a leather jacket. Moving onto a simple black dress next & I absolutely love the simplicity of this one below & being black & quite plain in design it would make the perfect dress to accessories & create many a look. Due to the understated style of this beauty I'd keep the styling really simple. A timeless clutch & simple flat sandals for now then come the colder months mid calf boots & a biker jacket make the perfect combination. Finally what about this dress for creating more of an impact. Again style simply for holidays. Then back home dress up with heels for the perfect night out look. Back to today & I'm sticking with my summer 'go to' look of a pretty white top & jeans that I've teamed with a new pale pink scarf that's perfect for adding a little comfort & warmth of a morning or on cooler days. Then come Autumn the perfect statement accessory. So ladies are you a dress fan for summer & holidays? If so any styling tips you'd care to share? Or maybe you've spotted a great dress that you've recently bought/got your eye on? If so I'd love to hear. Enjoy your day lovelies & I'll see you in the morning. In the meantime you can see the full collection of new into store delights from House of Fraser here.